One 18 karat yellow and white gold brooch. 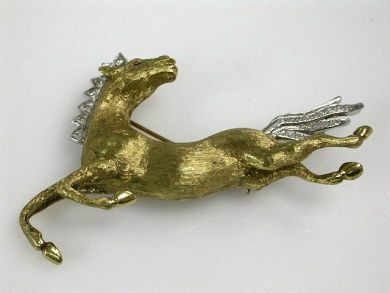 The ‘Prancing Horse’ brooch is set with one ruby (0.03 carats). Twenty-six single cut diamonds (0.18 carats: VS clarity: G-H colour).